You do not have to own a private jet in order to dress like a man who does. Success, after all, is based on self-confidence. To be sharp, you must look sharp. This is precisely why you need an assortment of classic, fully custom-made shirts from R. W. Furr Clothiers. 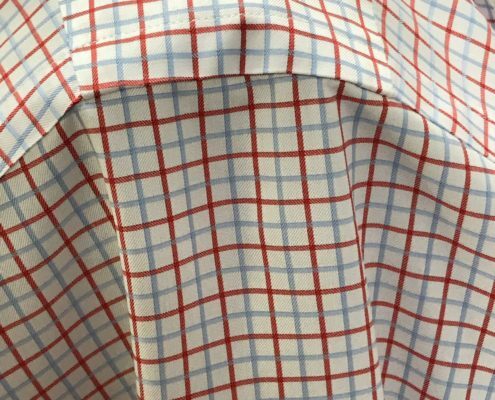 Real custom made shirts are cut by hand so all the patterns match in each direction. Stripes are supposed to line up on a suit. Why should it be any different on a shirt? Compare our shirts with other mass volume “made to measure” shirts. 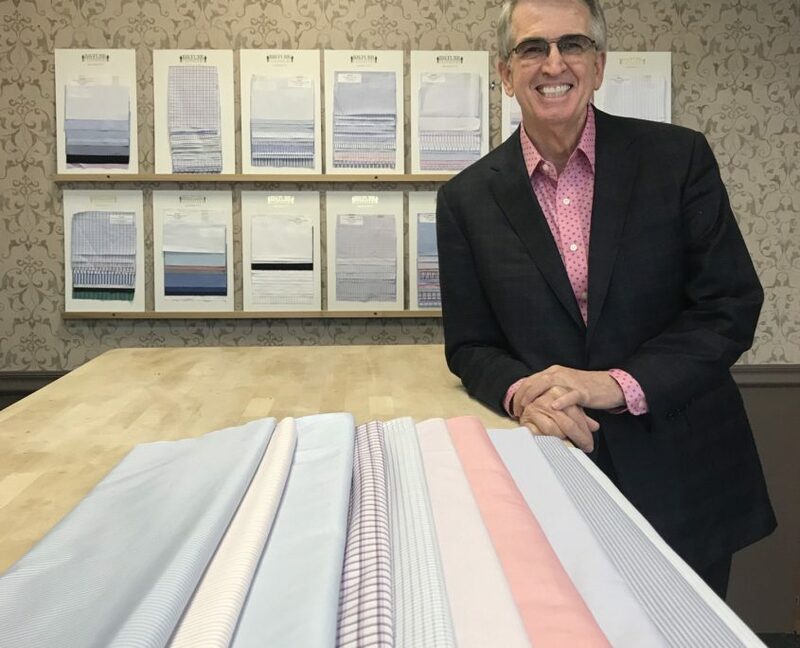 Once you’ve been measured and the fabrics have been selected, we will cut and make your order right in our building to assure “World-Class Standards.” Our obsession is to produce the finest shirt value in the world and everyone in our organization is committed to that goal. Attention to detail may be impressive, but it isn’t worth a spool of thread if your shirt doesn’t fit correctly. Seventy percent of all men wear collars that are too small, inhibiting blood flow and impairing vision. 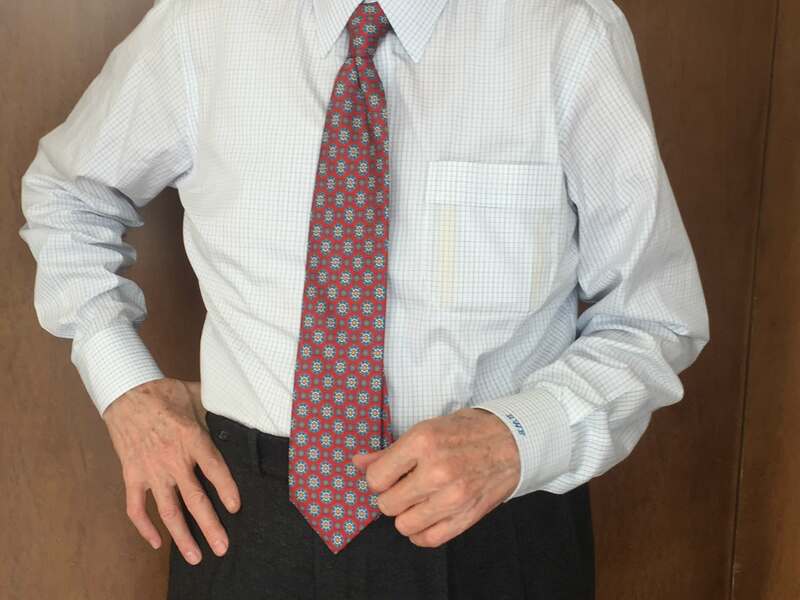 Our experts determine the exact size of your neck to the quarter-inch, balance the height of the collar in the front and back for absolute comfort, and make sure the spread and point length you select are right for you. 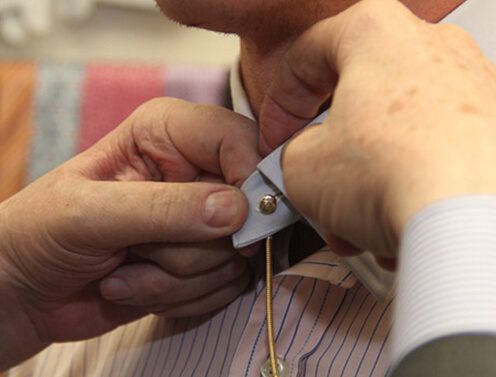 We even use try-on collars so you’ll know how the shirt will fit when shrinkage stops. Similarly, the lines of the body of the shirt are cut to conform to your chest and waist for a clean look and comfortable feel. Even the tail length is proportioned to your height. Our sleeves and cuffs are cut with such precision that they will not ride up your arm when you bend your elbow or cause the shirt to pull across your back. We recognize that every office environment is different; we can meet the dress criteria for everyone, from attorneys to graphic designers. Patterns for casual shirts are cut roomy with a relaxed fit, softer collar, bigger pockets, sporty buttons, and an abundance of style. Custom-casual offerings include dress casual, curved spread, banded-collar, and Western styles. At R. W. Furr, we put you in the driver’s seat. 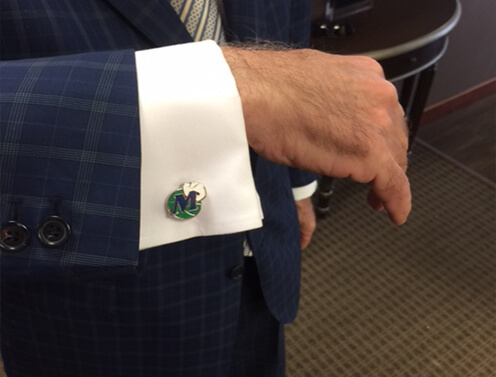 We want you to be one of the elite 5% of men who are aware of their image as projected through their clothing. We are here for your convenience. Re-orders are a phone call away. Need six sea-island white shirts? Our tailors will pull your pattern and have your inventory back up in 3-4 weeks. With us, you’ll have no problem with shipping delays. We do all of our work on the premises as you are our priority. Your shirts will be presented hand-pressed on a hanger, ready for you to wear. The true cost of any shirt should be what you paid for it divided by the number of wearings. Therefore, the most expensive shirts you will ever own are the ones you never wear. Building an R. W. Furr custom shirt wardrobe doesn’t quite require a leveraged buy-out. All that’s required is an investment in items that you are really going to wear. Prices range from $275 to $575, depending on the fabric you choose. Our motto at R. W.Furr: Quality equals power. With an assortment of custom made shirts from R. W. Furr, you not only have the power to look your best, you also have the power to be your best. Most “custom” shirts are made in factories that use white thread only, so they can produce more shirts faster. At R. W. Furr, we don’t want you to miss out on hundreds of unique fabrics from Switzerland, England, Italy, and France–all in rich, luxurious shades. Fine European cotton fabrics are usually 2 ply in the warp and 2 ply in the weft, which makes them feel better, look better, and last longer than single-ply yarns. You also have 25 collar styles, 4 pocket styles, and 5 cuff styles to choose from. Our motto at R. W. Furr: “Quality equals power.” We use the finest lining available, cut it by hand, and carefully sew it in with 22 stitches per inch. Our shirts are never fused together, which reduces shrinkage. 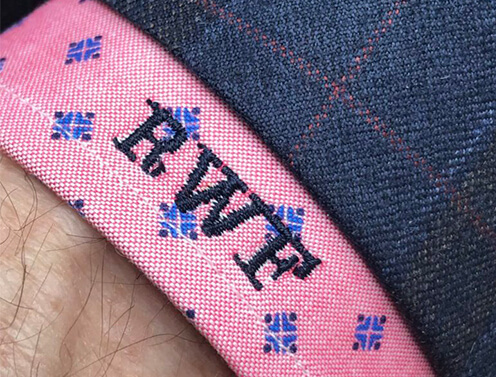 Single-needle French seams create a smooth, high-quality look and feel. Four-hole, English-rim, mother-of-pearl buttons are cross-stitched for strength and durability. Striped shirts are lined up and cut by hand so they always match on yoke, sleeves, and pockets.